This is true ! All over the world, children love birthdays ! Parents love to celebrate their children’s birthdays. So…what happens when you dont have parents.. . and you grow up in an orphanage in southern India… ? Well.. this happens …. each month. The Rhema Project and it’s partners provided a birthday party for the orphan girls of “ Esther’s House ” at the Bethel campus near Danishpet. 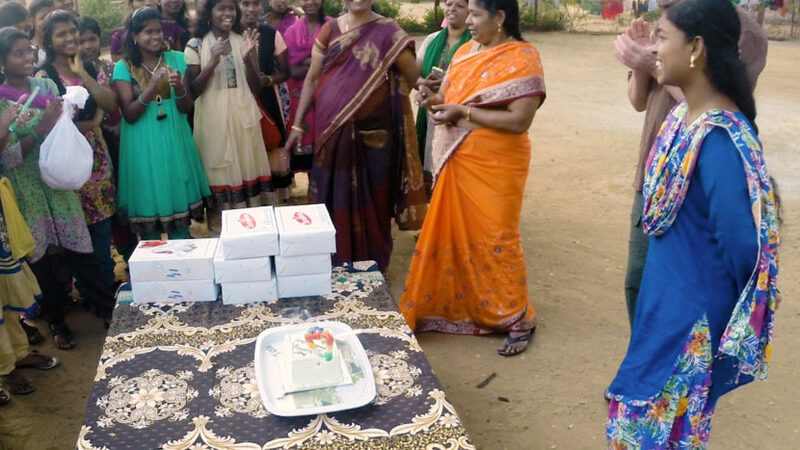 Each girl gets a new dress , bangles and personal care items. All celebrate with ice cream and cake. This is just one of the ways The Rhema Project is helping the lives of the girl child in India..
For a more complete view of the Rhema Project’s activities.. visit therhemproject.org web site.